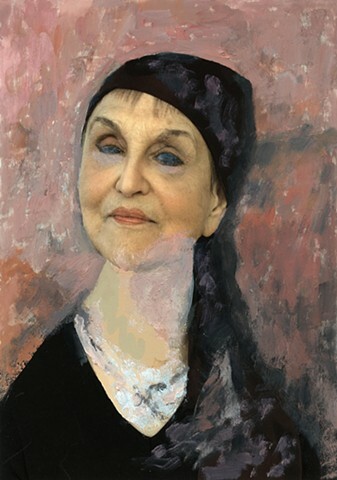 After a trip to Rome with my family where we stayed at the Hotel Modigliani, filled with prints by that artist, I returned home inspired to merge photographic portraits of friends and colleagues with Modigliani's originals. 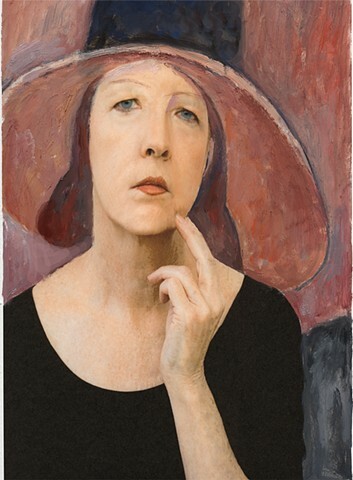 To do this I collaborated with Arthur Lerner, who added textures, backgrounds, details of cloth and physiognomy to my ink jet photographs. 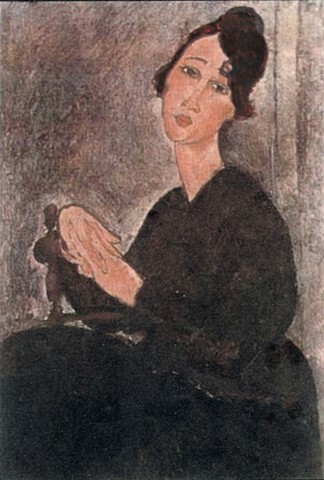 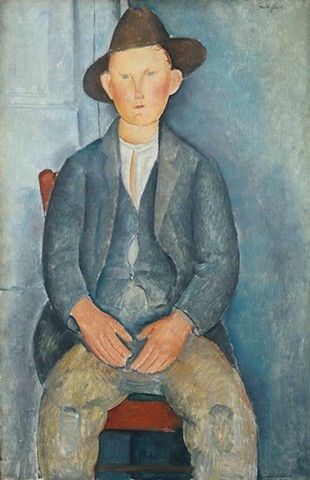 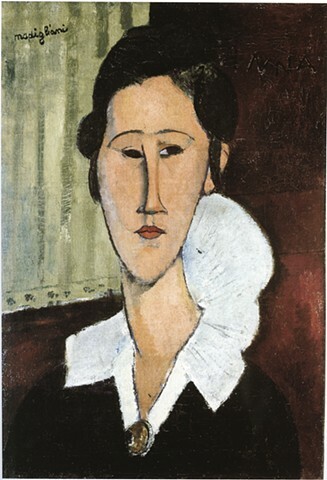 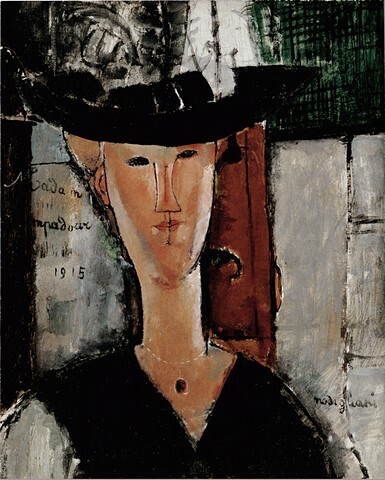 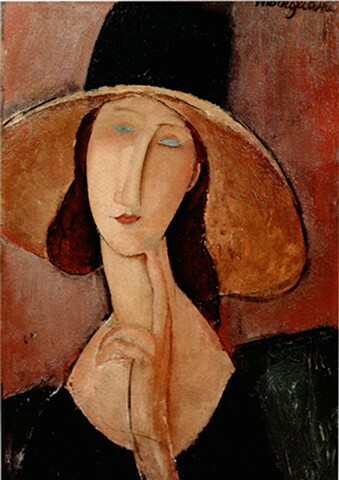 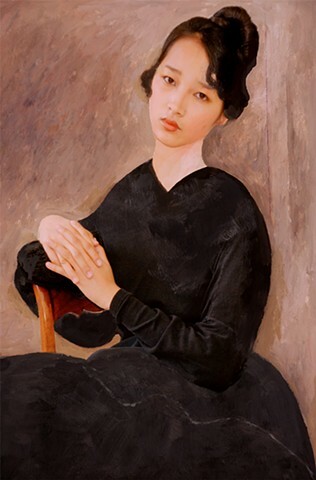 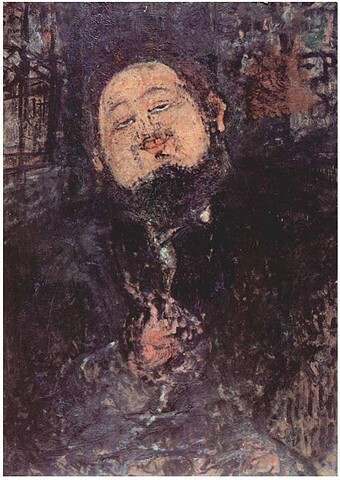 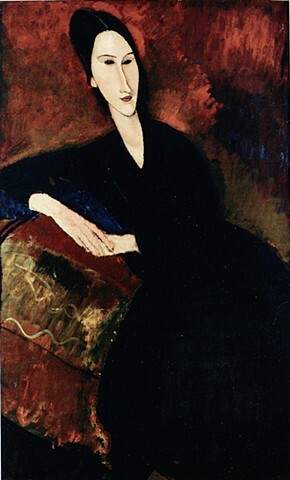 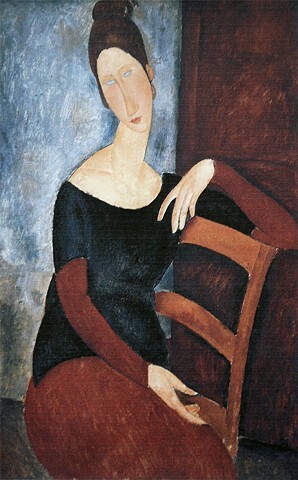 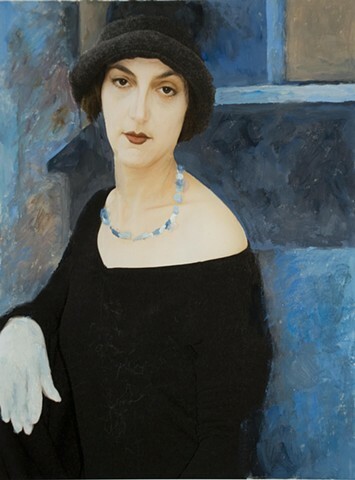 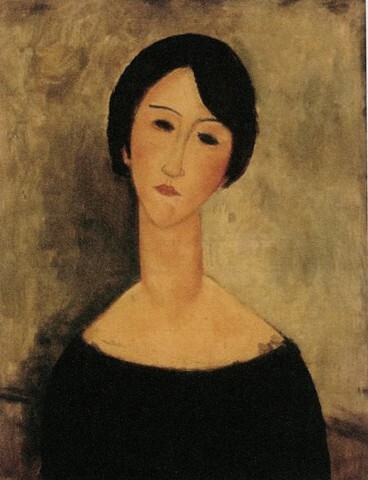 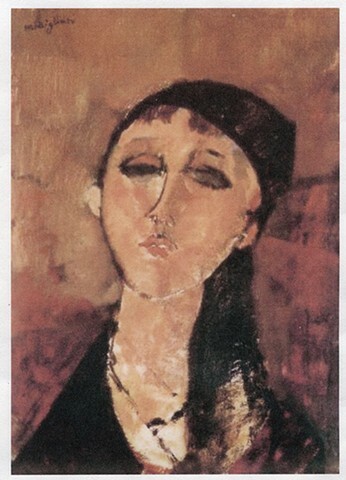 In these works we did not try to recreate the original, but rather evoke the original through a conversation with Modigliani, the original model, the contemporary model, paint and photography. 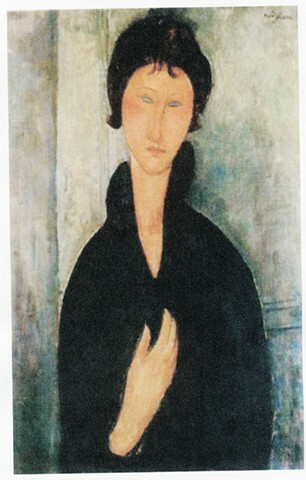 This is a conversation spanning almost a century. 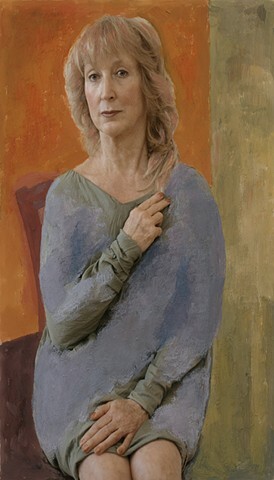 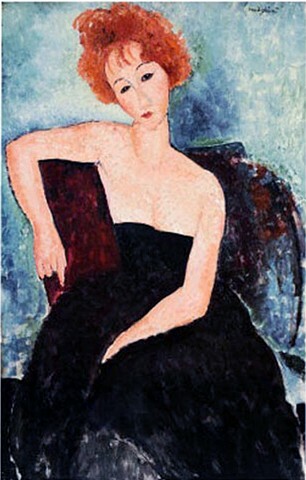 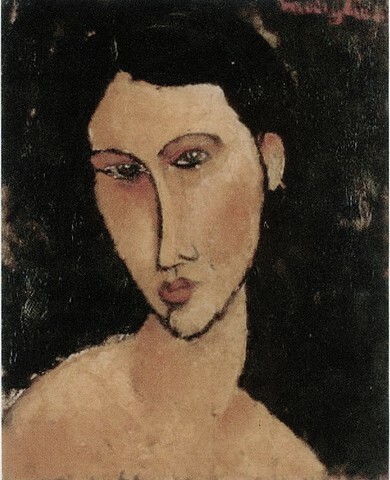 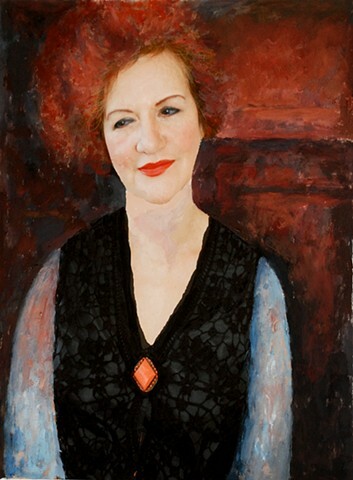 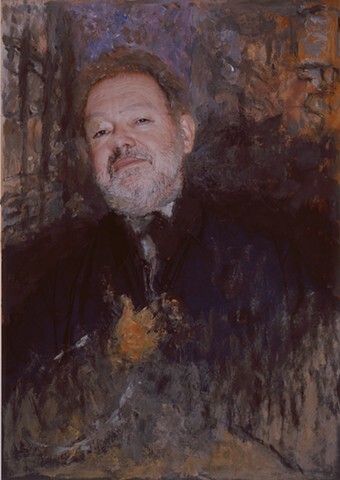 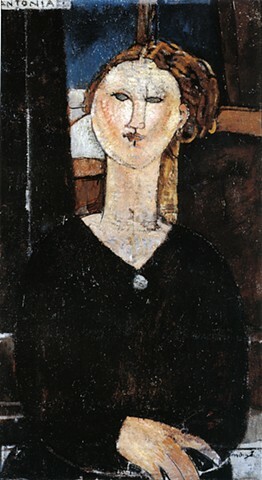 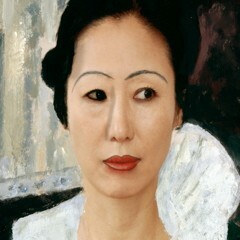 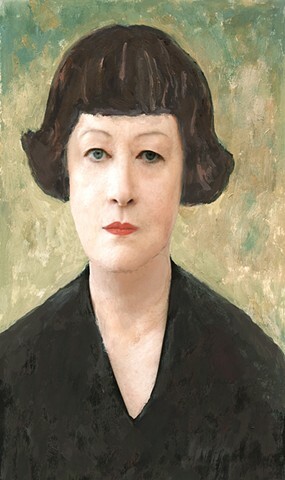 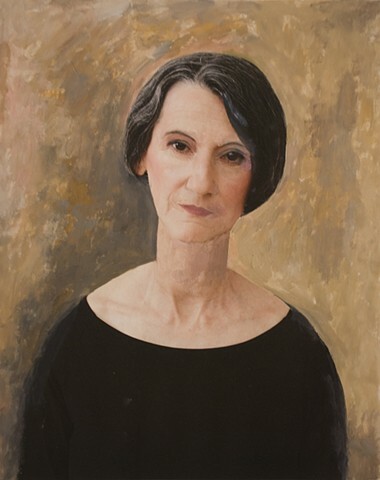 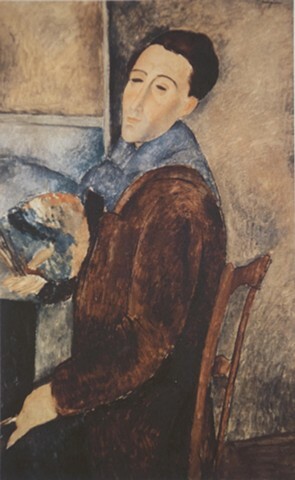 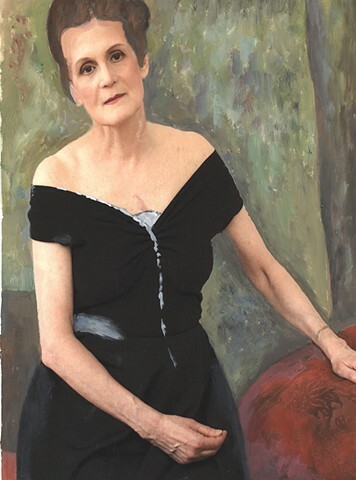 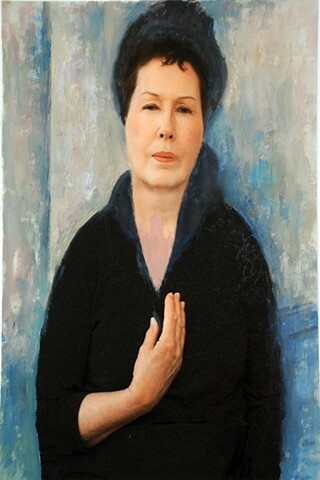 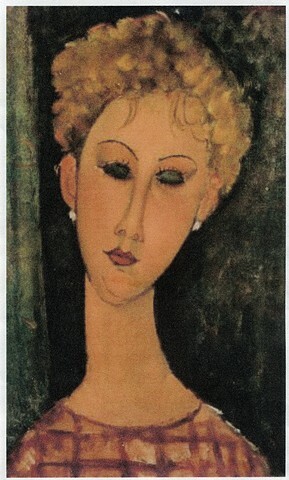 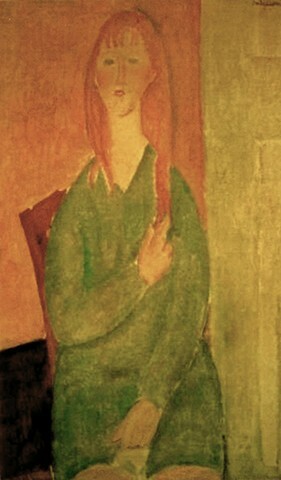 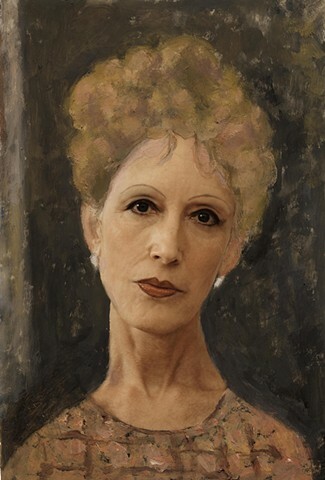 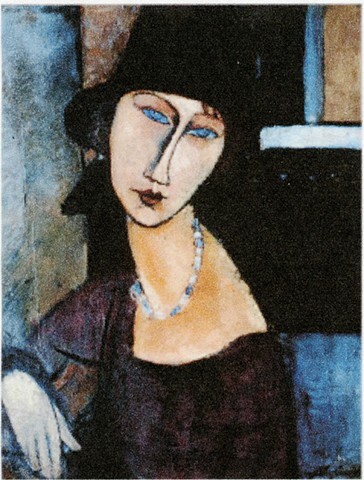 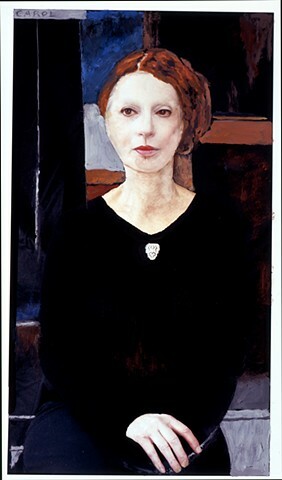 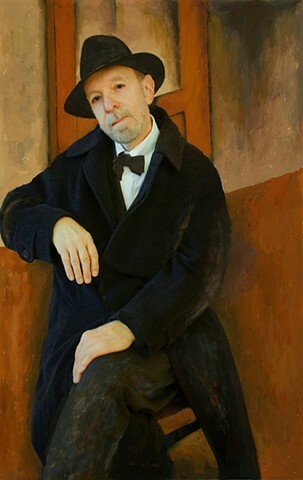 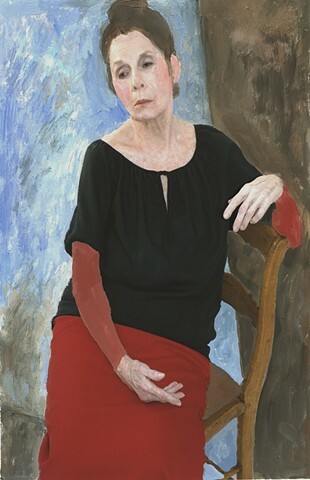 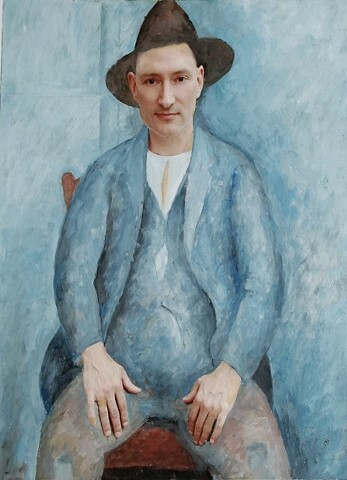 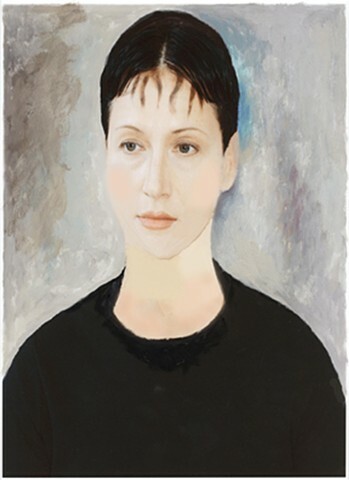 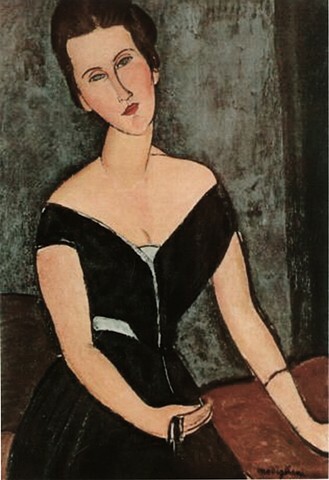 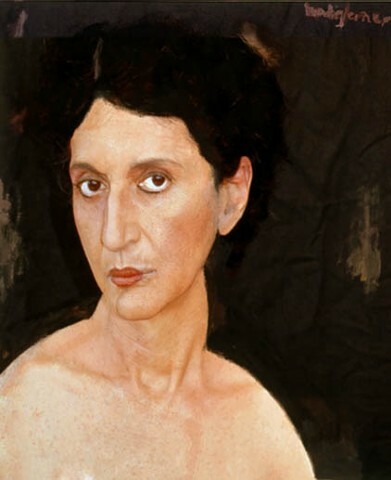 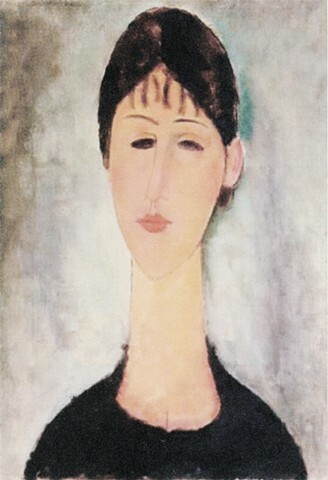 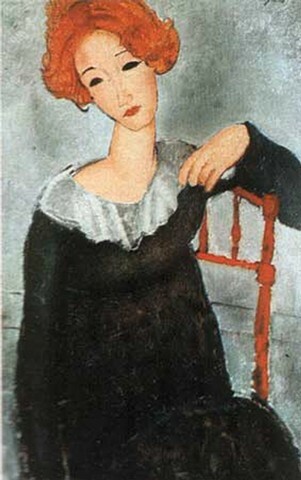 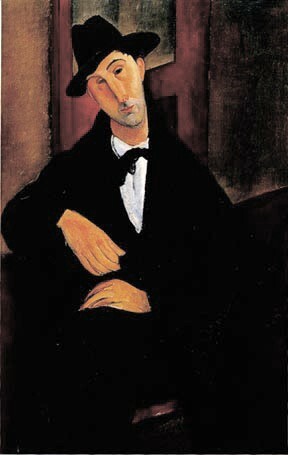 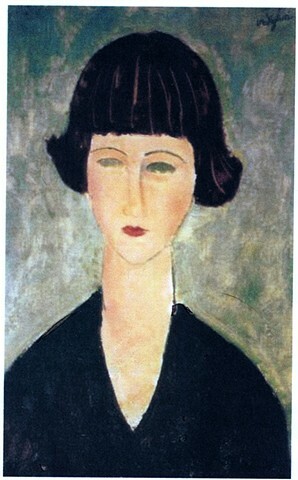 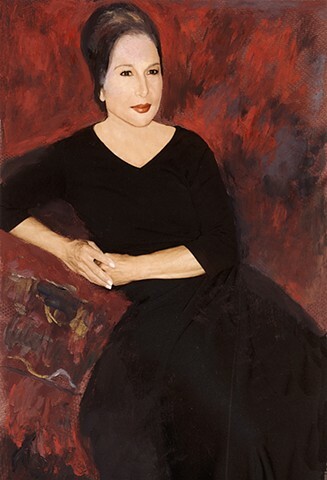 These painted photographs were exhibited at the Printworks Gallery, Chicago, from December 4, 2009 - January 2, 2010 in a show titled "Facing Modigliani". 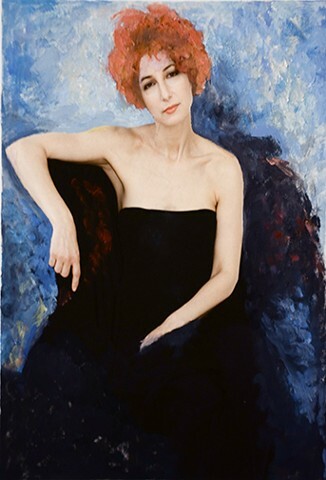 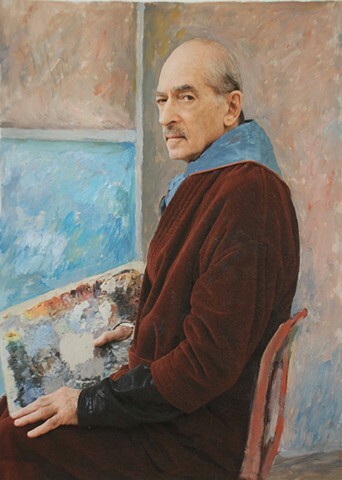 Please scroll down to view complete group of works. 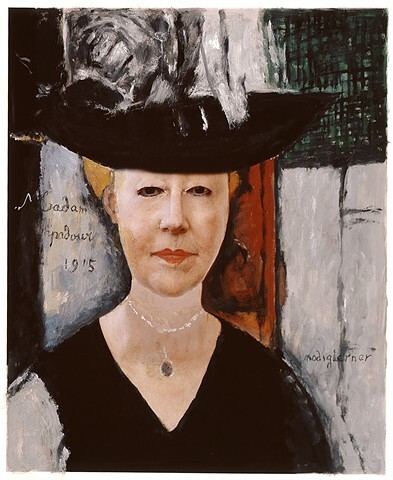 Jane as Portrait of Anna Z.
Linda as "Woman with Red Hair"
Arlene as "Portrait of a Woman in a Large Hat"